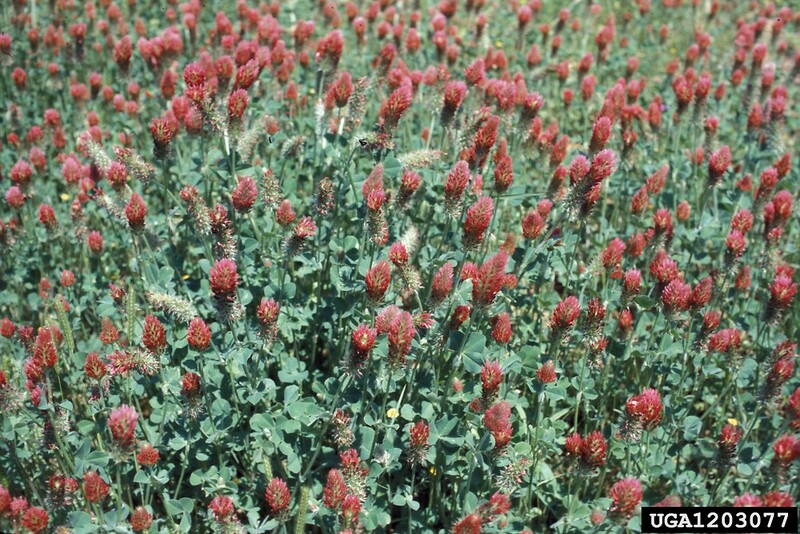 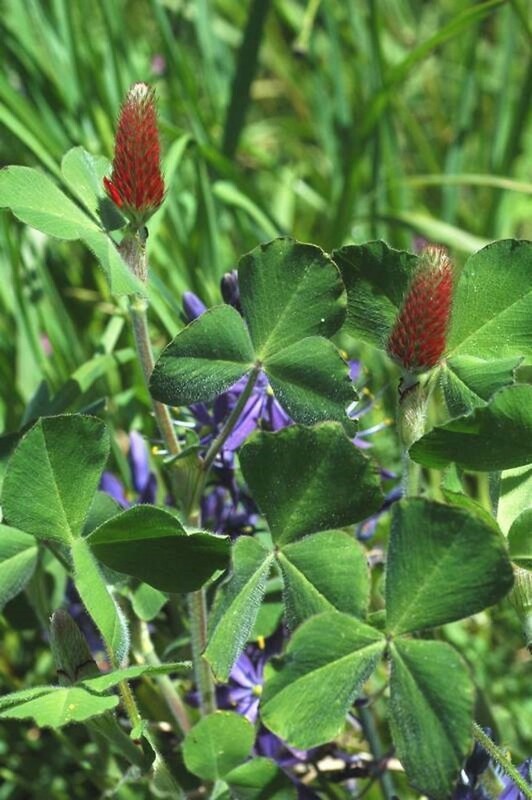 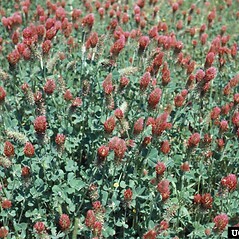 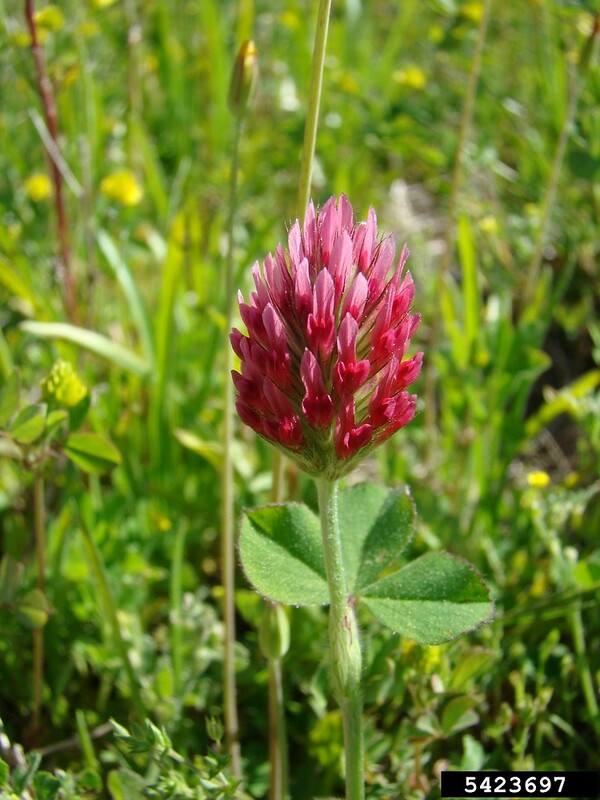 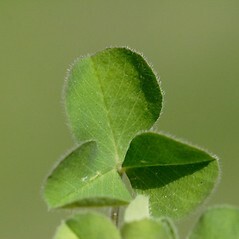 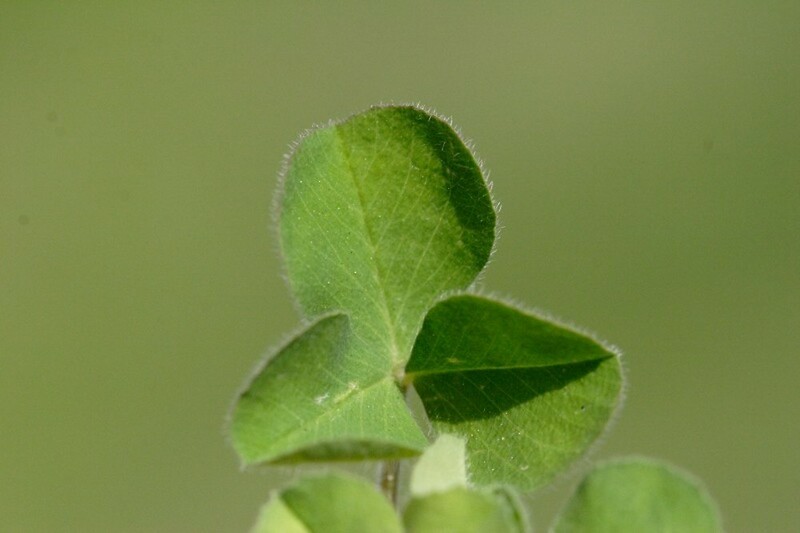 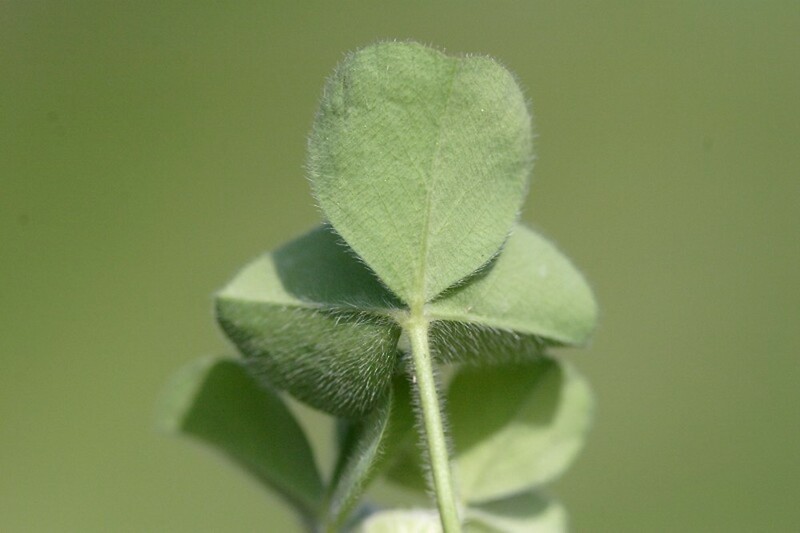 Crimson clover is native to Europe and widely introduced as a forage and cover crop. 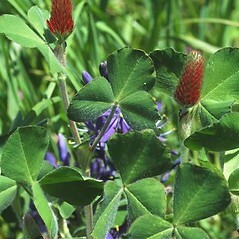 It has escaped and become naturalized in much of North America, including throughout New England. 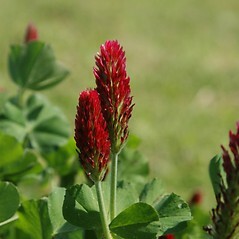 It is a striking species and easy to identify, with its deep red, conic to cylindric inflorescence. 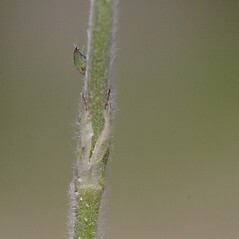 corollas 16–25 mm long and leaflets linear to elliptic-oblong, 20–50 x 2.5–5 mm (vs. T. incarnatum, with corollas 10–12 mm long and leaflets obovate or obcordate, 8–25 x 8–16 mm). 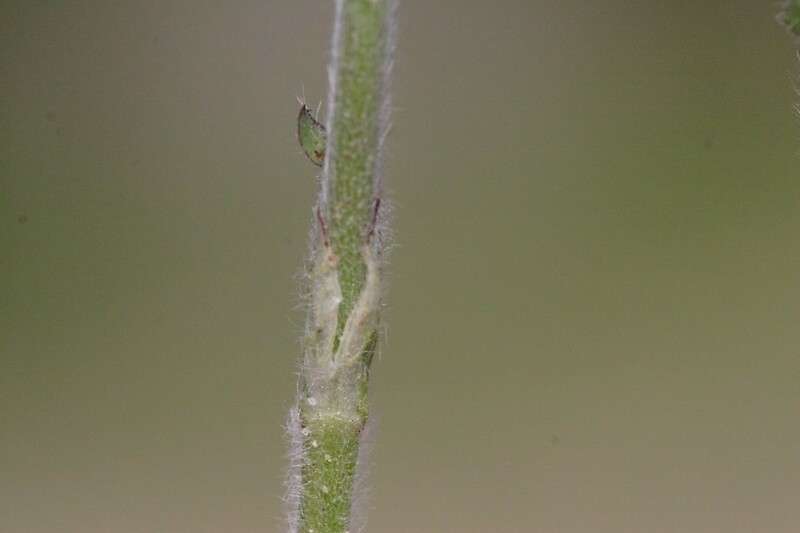 corollas purple with white near the apex or with the reverse coloration), inflorescence ovoid to short-cylindric, up to 30 mm tall, less than 3 times as tall as wide, and leaflets 1.5–4 times as long as wide (vs. T. incarnatum, with corollas usually red, inflorescence conic to cylindric, mostly 30–60 mm tall, at least the taller ones greater than 3 times as tall as wide, and leaflets 0.8–1.2 times as long as wide). 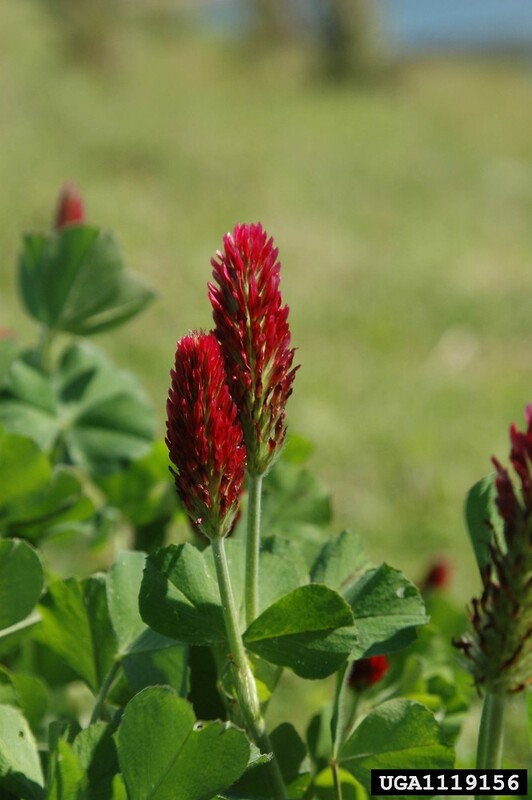 crimson clover. 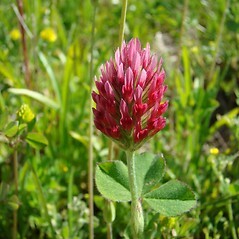 Trifolium incarnatum L. var. 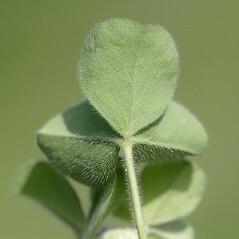 elatius Gibelli & Belli • CT, MA, ME, NH, RI, VT. Fields, roadsides, waste areas.